Choose your trek among the 9 proposed for the next edition! On June 9th and July 3rd to 6th, 2018, join us! 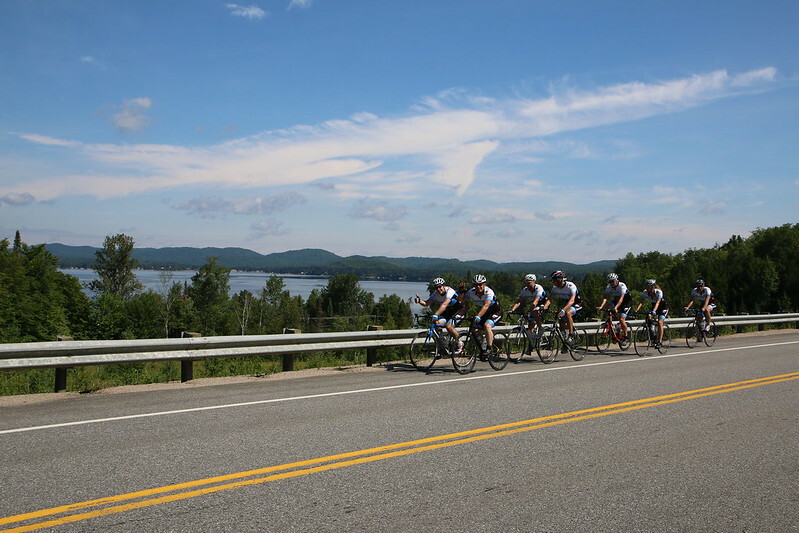 From July 4 to 7, 201, cyclists traveled the roads of Quebec to help children with cancer. $ 3.3 million has been raised as part of this 22nd edition. On behalf of children with cancer, thank you! The Tour CIBC Charles-Bruneau now has nearly 500 cyclists spread over 9 courses throughout Quebec, totaling 1800 km of bike, but it's mostly a dose of hope for children and their families. This short video will help you better understand the impact of every dollar invested for children across Quebec. The Tour helps 2000 children with cancer in Quebec. Donations change lives, thank you for being an inspiration for all those children!